BIG SALE!! 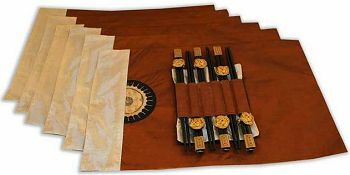 ORIENTAL SILK MATS & CHOPSTICK SETS BIG SALE!! 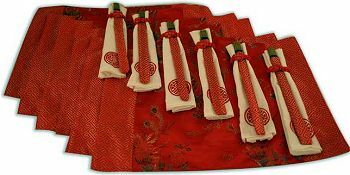 Add pizzazz to your dinner table instantly with these Chinese Silk Placemat Sets with chopsticks! 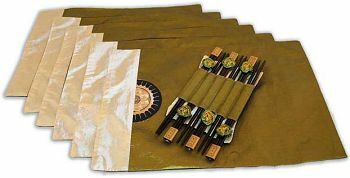 Each sumptuous set of 6 silk placemats come with 6 matching re-usable chopsticks. 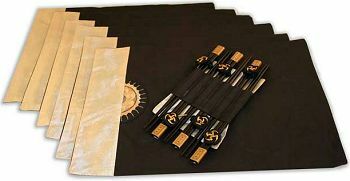 The DeLuxe sets include individual silk wraps or holders for each chopstick.